All-Marks' laser marking systems are price competitive, state-of-the-art, and among the industry's finest. Laser marking is focused on providing top value solutions to a wide variety of manufacturing disciplines including aerospace, automotive, defense, medical, electronics and packaging, tooling and more. 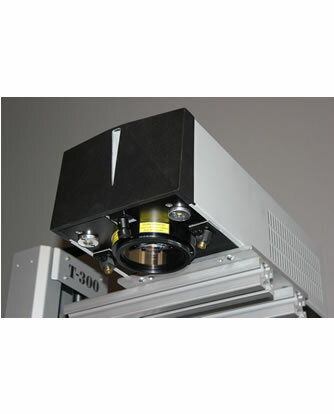 All-Marks offers state-of-the-art laser marking equipment based on FIBER, GREEN, UV, CO2 and DPSS laser technologies. AREX is the ultra-compact Fiber Laser that is setting a new standard for permanent laser marking. With the smallest marking head footprint, AREX drastically simplifies design for system integrators, and makes mechanical installations extremely easy in standalone marking stations to a fully automated working center in production lines and everything in between. State-of-the-art fiber technology provides for high speed marking on all metals and most plastic materials. 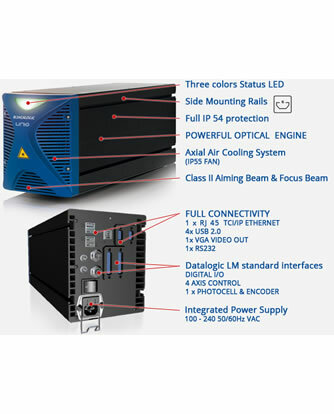 The AREX laser marker and Lighter 6 software suite allows OEMs and machine builders to develop a complete, cost effective laser marking station or to design an advanced laser marking system able to communicate over an Ethernet connection with supervisor computer (MASTER-SLAVE mode). The SharpMark Fiber Series of Q-switched, pulsed laser markers has been developed based on pulsed ytterbium fiber laser technology. Consumables are not required and there is no need for maintenance. SharpMark fiber laser markers are used in a broad range of marking or engraving applications on all types of metals, plastics, rubber and stone. 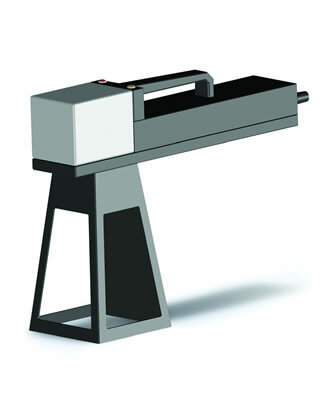 The SharpMark laser marking systems are compact and typically fit on a standard work bench or are used as standalone machines. 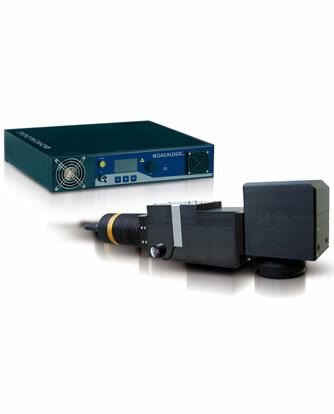 The entire laser marking equipment offering in the SharpMark series is competitively priced. Designed and built in California using domestically sourced and manufactured components the SharpMark laser markers are truly Made in USA. UniQTM is the first ultra-compact “ALL-IN-ONE” laser marking system based on fiber laser technology. Thanks to compact dimensions, the rugged IP54 grade housing, the complete absence of an external controller and fiber optic delivery cable, UniQTM laser markers really are unique. With 15 watts of optical laser power, the UniQTM laser marker offers flexibility in marking on a wide variety of materials. The ultra-compact design and the high efficiency, low noise, cooling system allows for easy integration – even in tight spaces and complex environments. UniQTM laser markers are powered by the latest version of the Lighter 6 laser marking software suite and offer maximum customer ease of use and flexibility in system integration. Portable and handheld laser markers with easy to use and with long battery life. A state-of-the-art Q-switched, 20 watt Ytterbium fiber laser provides maximum flexibility over a wide variety of materials including all metals and many plastics. Work from any power source from 12 VDC to 240 VAC. An internal rechargeable battery is used to power the laser when an AC power source is not available. The mobile design is lightweight, with built-in safe operation, and can operate in the Stand Along mode without a PC. A real time visible bounding box highlights the area to be laser marked. The Green-Lase family offers 4W and 10W DPSS laser marking sources @532 nm operating on the Lase platform and uses SHG in an intracavity architecture which maximizes LBO non-linear crystal conversion efficiency. 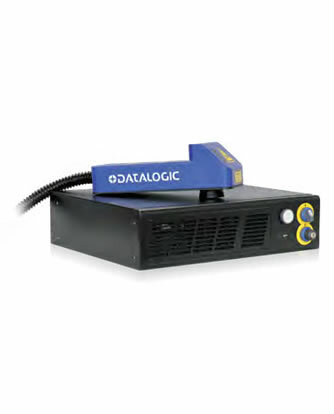 The Green-Lase sources offer all the advantages of the Datalogic Automation Lase Platform such as air cooling, standard compact design, continuous and precise power control and low power consumption. The Green-Lase sources guarantee very high beam quality and M2 < 1.2 and is distinguished by long term power stability as well as by pulse-to-pulse stability. 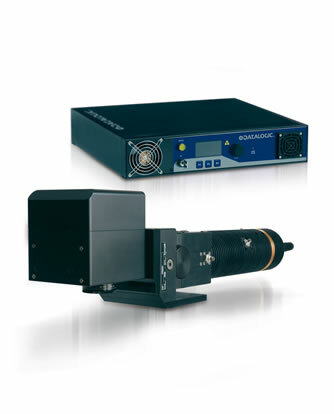 The extra cavity technology allows high efficiency conversion of the LBO nonlinear crystal and compactness of the laser source. 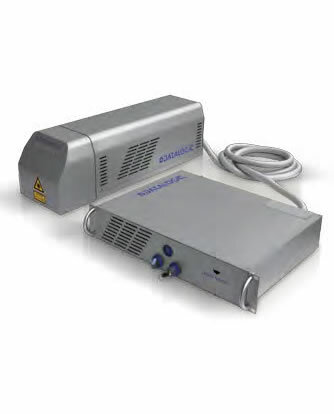 The UV Laser combines unique features such as air cooling, standard compact design, continuous and precise power control and low power consumption with the advantages of the short UV wavelength. Performing the ‘so called’ cold marking the UV Lase allows no-damage marking and micro-processing on demanding materials such as glass, non-doped plastics, coatings as well as a variety of other materials. Heat sensitive applications in the electronics, aerospace and solar industries. Extremely reliable, the EOX family of CO2 laser markers offers high quality permanent marking over a wide range of organic materials including paper, cardboard, textiles, and other organic and painted/coated materials. EOX laser sources provide unmatched permanent clean marking in new market segments, where it is competitive with the traditional ink jet solution in terms of ROI and performance. Its configuration offers extreme flexibility for the integration in production lines as well as in stand-alone systems. The EOX embedded controller and the advanced features of its marking platform offers permanent coding and marking opportunity for a variety of applications. The EOX is available in 10 watt and 30 watt power configurations. We promise your total satisfaction by always providing the highest level of service, the best equipment for the task at hand and a consistent degree of professionalism. "Outstanding product support and training before and after the sale. The quality of the laser marking is absolutely excellent." ALL-MARKS has helped in so many ways – they have done job shop laser marking for us with better than on time delivery. The Laser machines they sell are great – 100% great equipment and with world class support. Always there when needed. Copyright ©2019 All-Marks, LLC. All rights reserved.